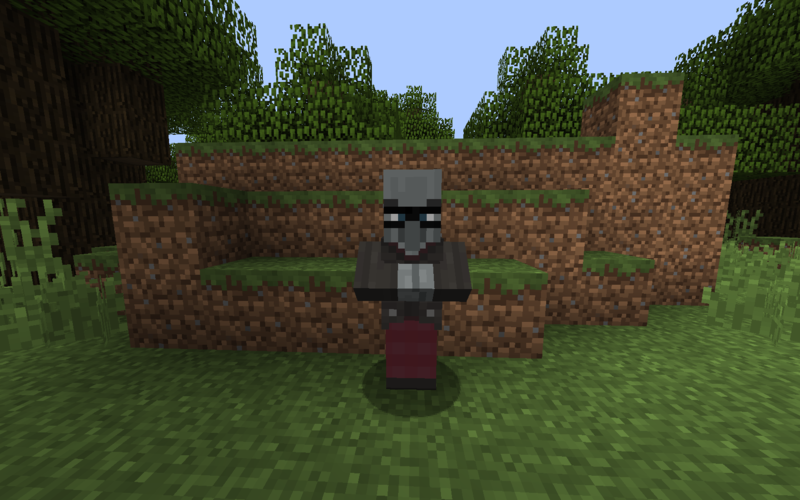 The Highwayman is a new Illager type, similar to Vindicators in behavior. He wears red pants, and a black mask around his eyes. They can spawn with almost any non-diamond sword, axe or bow, with random enchantments. They have a different spawning mechanic compared to other hostile mobs. They spawn rarely in random chunks in Medium/Lush biomes, when the world first generates. They never despawn, but they can't respawn after being killed either. They can drop any amount of emeralds from 1 to 15. The chance of higher amounts increases with the Looting enchantment.